Lost Games | Gremlins Online! 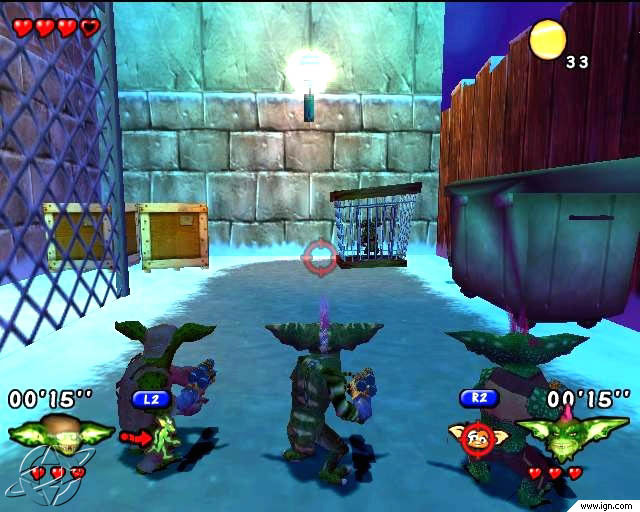 Many people know of Gremlins and the various video games that released throughout the years, but what most people do not know is that there are some games that never saw the light of day, or more appropriately never got to be fed after midnight. This page is dedicated to gathering and sharing all known information on those missing games, and in the end hopefully learning a bit on what we missed. Currently, there are two known abandoned games, a 1984 arcade game, and a 2003 Gamecube/PlayStation 2 game. 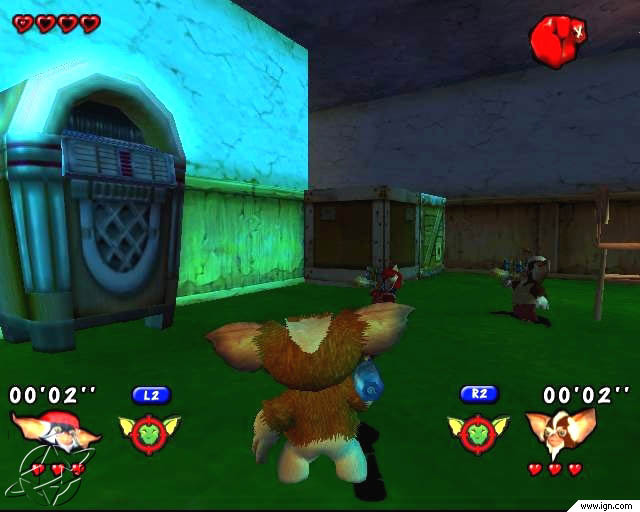 Gremlins Revenge (or just Gremlins) was a console game that was set to release in 2003, but, for one reason or another never materialized, yet many video game sites and online retailers have this game listed, with a small snippet of information and one of the above boxes. That is where the information usually ends. All the information found on the lost games that I have found thus far is available right here. If you know of any information at all, rumors, more screenshots, news articles, anything at all please contact me at Jypsy27@gmail.com, and it will be added to the site. 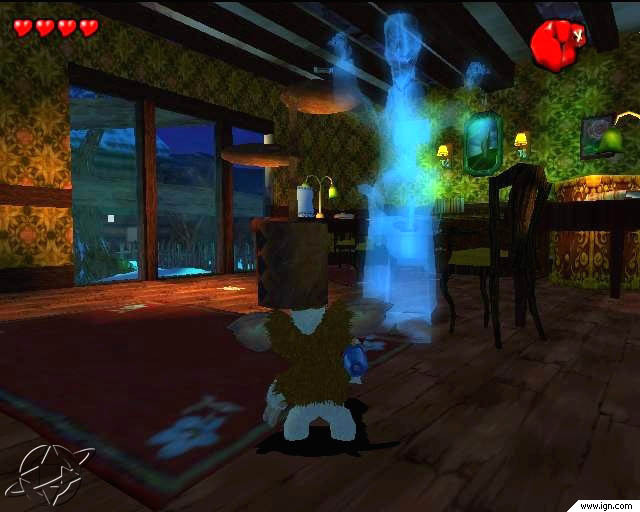 The game was being developed by LSP, (Light and Shadow Productions) for the PlayStation 2 and Nintendo GameCube systems. This company apparently does not exist anymore, as reported by various sources and the lack of recently published games. Other information found regards Stripe coming back after Gizmo gets wet, and locking the citizens of Kingston Falls in the city hall, while the Mogwai and Gremlins battle! 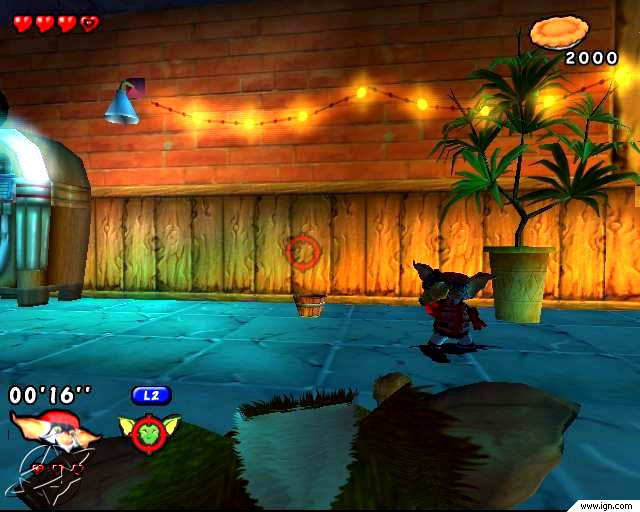 The game looked to be aimed at the multiplayer/party crowd and you could be Gizmo or a Gremlin if you wanted to! This page will be updated whenever new information is unearthed. It is time for commemorations in Kingston Falls and 20 years have passed since the disaster that occurred when the Gremlins came to town: plundering, destruction and persecutions have left a bitter memory in the minds of the peace-loving residents of this small town.A large party is organized for all the town’s inhabitants to pay homage to Gizmo, the courageous Mogwai, and Billy, the two heroes and Gremlin fighters. But inadvertently that night, Gizmo gets splashed with just enough water to provoke the emergence of a new Mogwai with a white mane, Stripe, who has plenty of mischievous intentions. 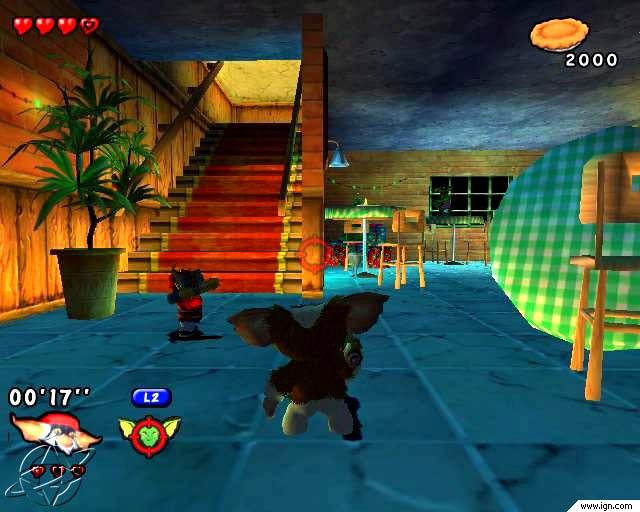 Stripe manages to stir up trouble in the dance hall and locks all of its occupants up tight so that he can attempt to take control of the city, multiply and let chaos rule again. Two captivating one-player adventures (Adventure mode or Quick Action) and a 100% action Multiplayer mode with cooperative play! Atari was planning on releasing this in 1985 in the United States but was canceled for unknown reasons. You are Lynne Peltzer, defending your kitchen against the gremlin onslaught. You switch to Billy Peltzer and melt gremlins with your flashlight outside in the streets. Now you take the role of Gizmo, and the game switches to a top-down view of Gizmo driving his pink convertible through Montgomery Ward department store, navigating through maze-like aisles, shooting obstacles, until finally reaching Stripe in the fountain. 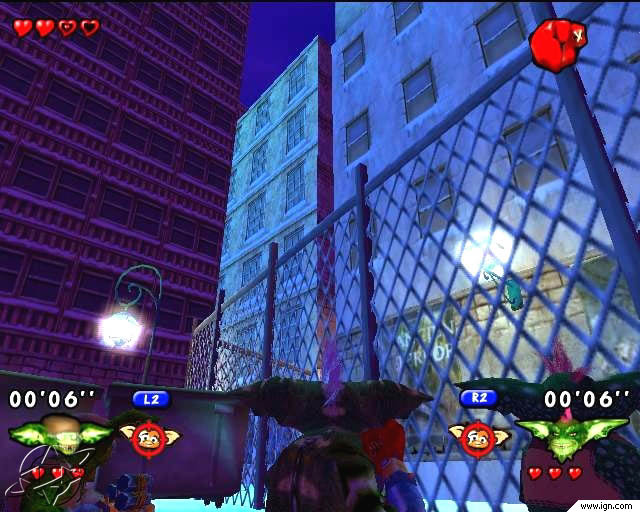 At this point there is no battle, or boss fight, you just go back to the first level with an increased difficulty, and thus it repeats like so many other games of the era. Standard scores seem to be 10,000 for completing a stage, and scores do not increase with the difficulty. After completing the driving stage, you do not get any bonus for beating all the stages. You are awarded the normal 10,000 points for completing a level. Points are not deducted when you lose a life. There is no indication of an extra life at any particular score, and there is no known high-score table. One is assumed to exist simply due to it being a standard attract feature of the era. 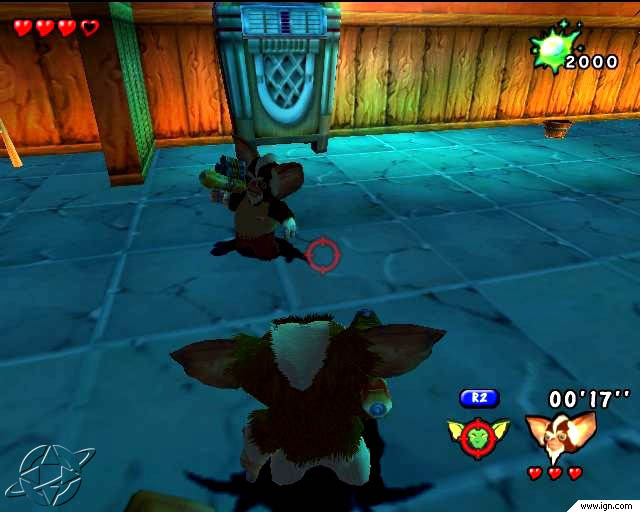 500 points for killing a gremlin in the kitchen by knocking it into the blender or microwave. 300 points for shooting a silver robot or a flowerpot. This is what surprised me the most about the arcade game – The soundtrack uses music featured in the film, but more than just the iconic “Gremlins Rag” that everyone knows. That said, it is possible the tracks may have been placeholders since “Late To Work” really doesn’t fit the driving sequence very well. If you have a scoop be sure to send it to Gremlins Online, just email me Jypsy27 AT Gmail and I will be sure to credit you with the discovery! 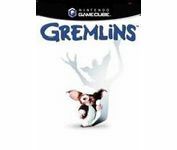 Gremlins fans should make “Gremlins 2: The New Batch” on Nintendo Wii games, DS games and 3DS games about Billy, Kate and Gizmo dealing with those mean Gremlins in Clamp Center in New York City. 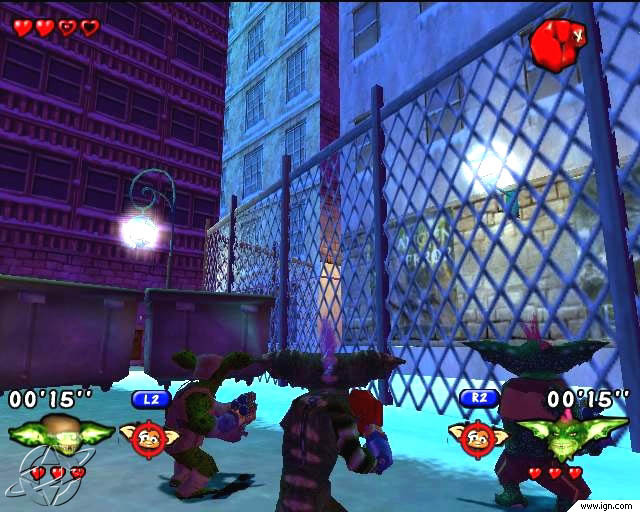 I’ll bet they should make “Gremlins 2: The New Batch” (Gizmo vs. Mohawk) on Wii game; “Gremlins 2: The New Batch” (Mutant Gremlins in Manhattan) on DS and 3DS game. i sent an email to someone who helped make the game. i just got a reply that said that it had multiple differrent weapons, from pear shotguns to watermelon rockets, you would get one in some levels and others in bosses. by the way i see this description, its a remake of gizmo vs stripe. as time rolls on i hope to see this game released. ( the figure game posted a few months ago said that the company came back, it could happen to L@S.
“‘in fact, Warner contact my studio for an onther reason. 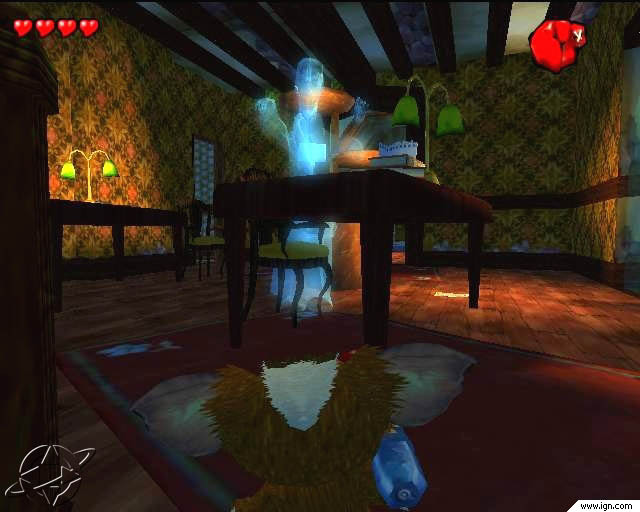 officially it’s was for the gremlins game but unofficially our work was to make some tests for a new grelins movie. they wanted to create the gremlins and mogwai in cgi ans ask us some quick tests to see how it works. 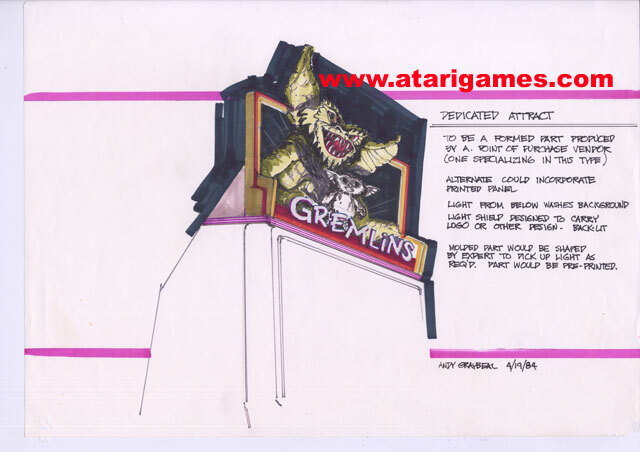 So there you go – It was not only a video game endeavor, but a CGI test for the once-proposed all-CGI Gremlins movie! !